New Delhi, May 25, 2018: As per the 2011 Census, 31 percent of the population lives in urban areas, and by 2030, 50 percent of India’s population would reside in urban areas. This will create a massive need for intelligent urban transport networks, smart energy, safe and secured public spaces, upgraded water supply, waste disposal facilities, and environmentally compatible buildings. The 4th Smart Cities India 2018 expo, which was held in Pragati Maidan, New Delhi, from 23rd to 25th May, featured some of the most prominent leaders and experts discussing ways to harness technology to make the next generation of urban spaces resilient, sustainable, and inclusive. Organised by the India Trade Promotion Organisation (ITPO), the NASSCOM Centre of Excellence – IoT and Exhibitions India Group, the 4th Smart Cities India 2018 expo co-locates five major verticals that make up our smart city framework – buildings, solar, smart cities, transport and water. The state-of-the-art exhibition floor enabled participants to explore the latest smart city projects and technologies, products, services, design, and solutions that fit urban lifestyles and needs perfectly. Shri Durga Shanker Mishra, Secretary, Ministry of Housing and Urban affairs reiterated that with more people migrating to cities in coming decades, urbanisation presents many challenges. He said, “Given the huge opportunities present within the challenges, the PM launched three schemes, namely Swachh Bharat Abhiyan, Skill India and ‘Housing for All’ to address them.” Under the Housing for All scheme, 46 lakh houses have already been sanctioned; 7 lakh houses have been completed; and 2-3 lakh houses are being sanctioned every month. He further added that every household in India will get a proper toilet and the entire country will be open-defecation free (ODF) by October 2018. Dr. Namrita Kalsi, Joint GM, DMRC, India, believes that urban planning strategies must focus on the future. Emphasising on the need to upgrade traditional urban planning with technology, she says, “Across the world, one of the most accepted models in urban development is Smart Cities. India too is following this route. But the paradox is that conventional city planners should be actively engaged in collaboration and aggregation. But that is not the case. It is the technologists who have leapfrogged and are at the forefront of most aspects of a smart city”. Dr. Kalsi further added that urban planning needs a new methodology. “A methodology involving people, process, technology and citizen participation, and facilitating enterprises,” she said. The City Leaders’ Conclave, a dynamic and exciting business programme for industry and government, was held during where multiple stakeholders addressed the needs of urban sustainability. Panelists at the discussion emphasised that smart city development need to be truly holistic, encompassing everything from technology to policy to enablement to government action and citizen participation. Shri V. Umashankar, Commissioner, Municipal Corporation Gurugram & Additional CEO, GDMA, stated during a panel discussion that urban policies are needed for urban challenges. He reinforced the idea that smart city solutions begins with keeping citizens at the heart of design. GDMA raises funds locally and has received no external funding. The idea of making Gurugram smart is planned at city, sub-city and sector level. This process ensures that city wide development takes place rather than that of only specific areas or localities. Many government representatives from both city and state levels at the conclave mentioned that approximately INR 20,000 crore worth of investments are being allocated to develop the Integrated Command and Control Centres across 100 smart cities in India and how the centre will monitor the entire city through cameras and function as one-stop urban assistance solution for its citizens. The last day of the three-day expo also saw the Smart Cities India Awards, an annual event designed to felicitate, recognise and encourage individuals, policy makers, companies, government bodies and associations working towards developing over 100 smart cities and rejuvenating 500 cities in India. The Smart Village Conclave served as a platform to bring together village heads (pradhans, sarpanches), MPs, innovators, influencers, NGOs, etc., working towards developing smart villages in India. Shri Ram Kripal Yadav, Hon’ble Minister of State for Rural Development, Government of India, said during the Smart Village Conclave, “India is a huge nation and has shown accelerated growth in the past years. Unfortunately, the growth has not happened at all levels. Where cities have shown immense leaps of growth, the villages have not been the same story. 70% of India’s population resides in villages. However, rural dwellers in the country have not witnessed a significant increase in earning opportunities and quality of life. We witnessed unsurpassed migration to urban areas. This is leading to cities being overcrowded and burdened. To combat this issue, we need to focus on making villages smarter along with our cities. To this end, the central government has increased the spends from INR 54,000 crores to INR 1,12,000 crores. In the Housing for All scheme, 44.54 lacs houses have been built to date and by end of 2019, one crore houses are expected to be built. The 4th Smart Cities India 2018 expo offered a platform for key decision makers, industry experts, and thought leaders from around the world to connect and engage in constructive dialogue to lead sustainable development. The expo also helped attendees access funding, business, and partnership opportunities, with participants from over 40 countries and the biggest brands in the space attending the event, spread over 20,000 square metres in the heart of New Delhi. The expo initiate conversations around new-age technologies such as Internet-of-Things (IoT), renewable energy, artificial intelligence, Big Data, and VR/AR, which are expected to be instrumental in creating the Smart Cities of the future. 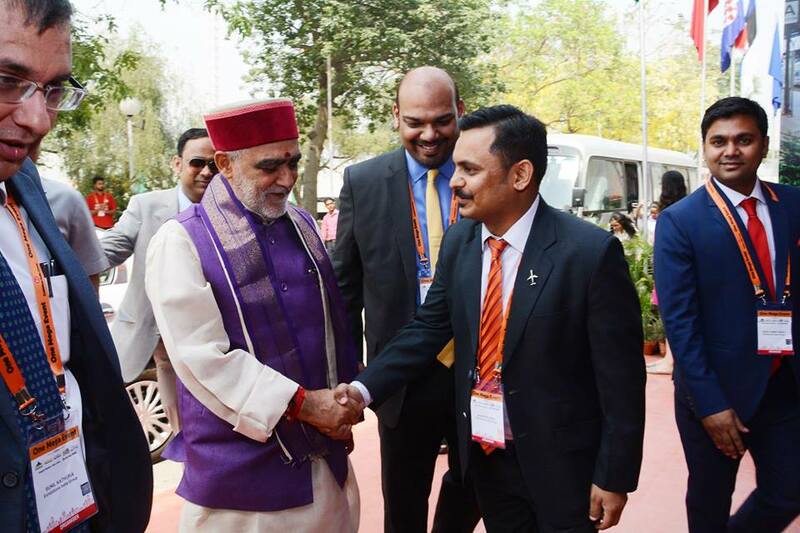 Bringing five expos – Buildings India expo, Solar India expo, Transport India expo, Smart Cities India expo and Water India expo – under one roof, the vision of the 4th Smart Cities India 2018 expo is to help develop attractive and safe cities that evoke pride, passion and a sense of belonging among citizens. NASSCOM CoE – IoT was announced by Prime Minister Narendra Modi in July 2015 as part of the Digital India campaign. The Centre of Excellence is a joint initiative of the Department of Electronics and Information Technology (DEITY), Education and Research Network (ERNET) and NASSCOM. Exhibitions India Group is a trade promotion organization creating opportunities for investments, joint ventures and technology transfers. 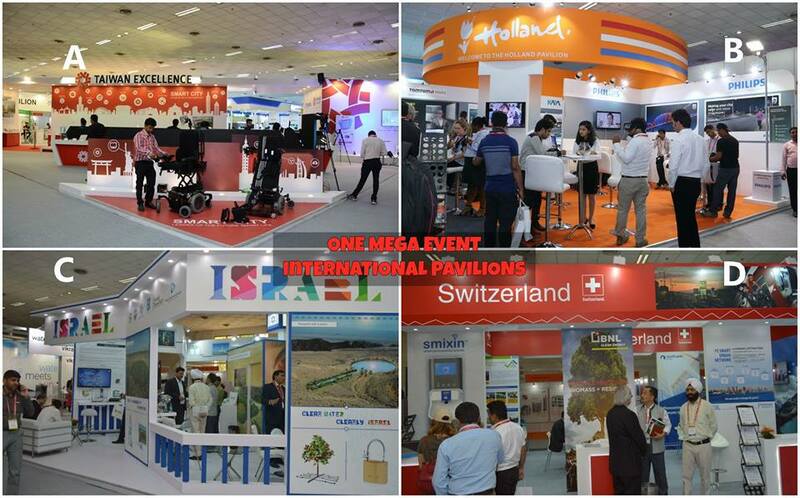 Exhibitions India Group acts as an interface between businesses, government, academia, society, media, etc. 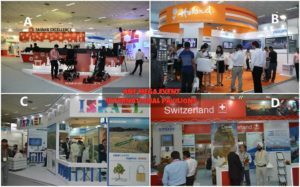 Exhibitions India Group has been in existence since 1987, and is committed to providing satisfaction to its customers by organizing quality and focused international trade shows through exceptional services, employee involvement, market intelligence and continual improvement.